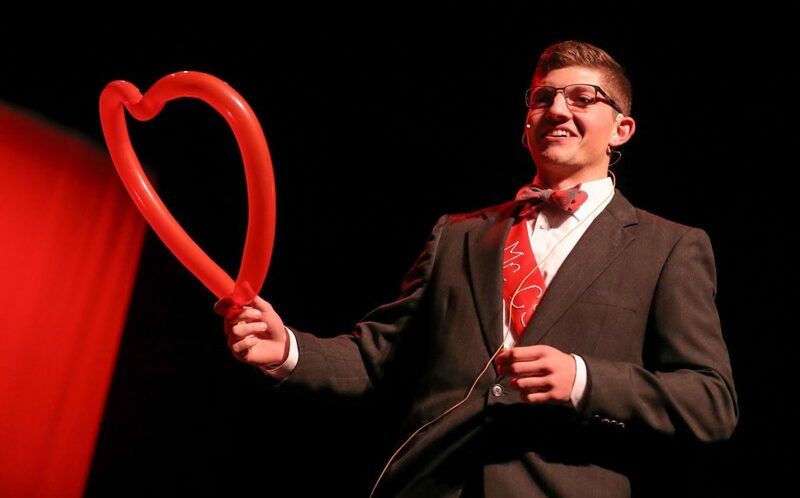 This post has already been read 3170 times! 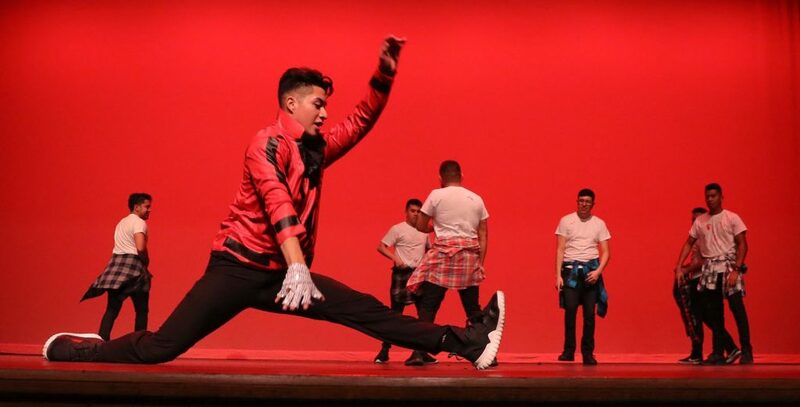 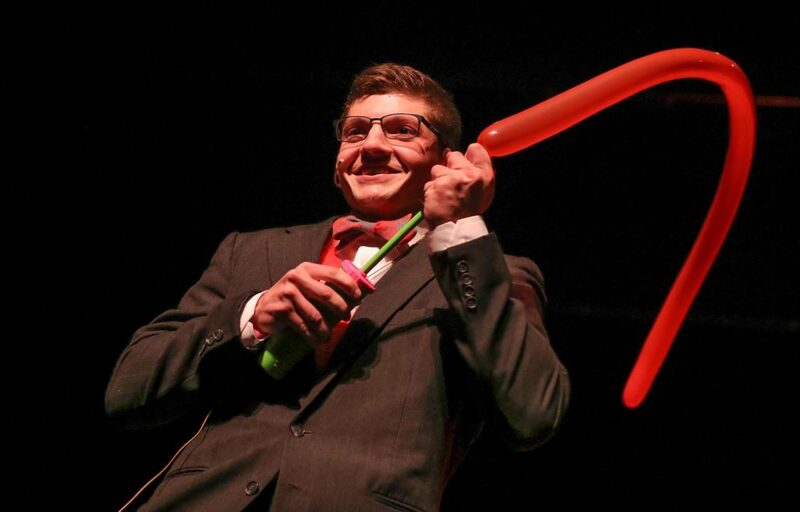 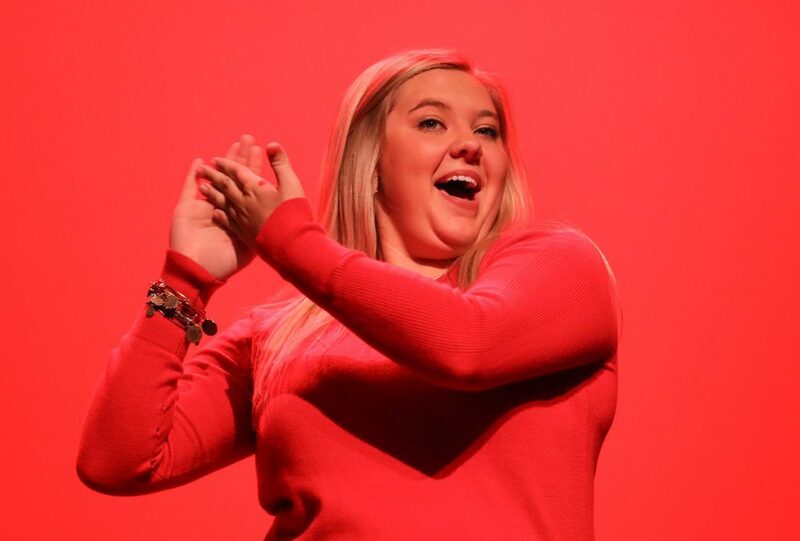 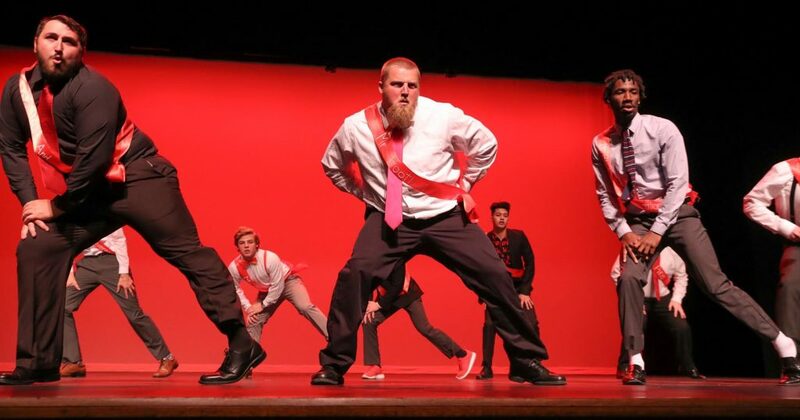 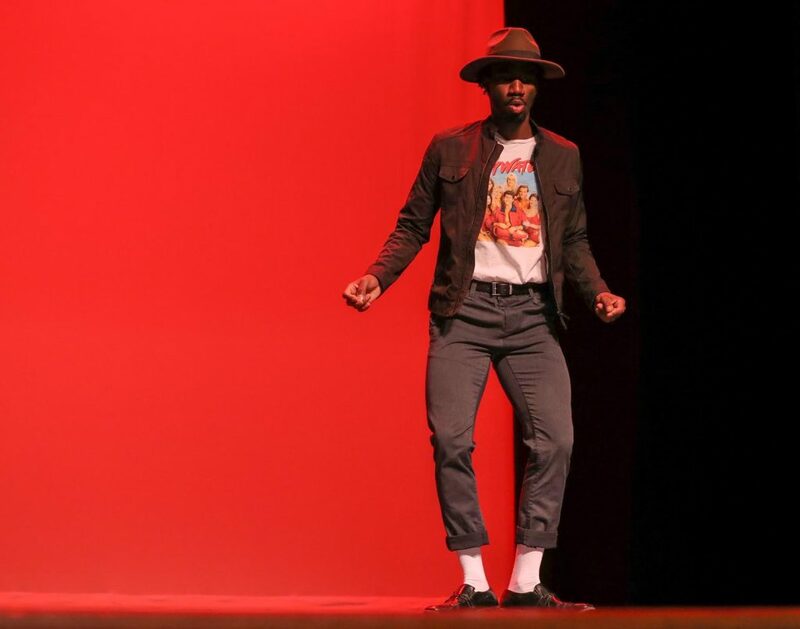 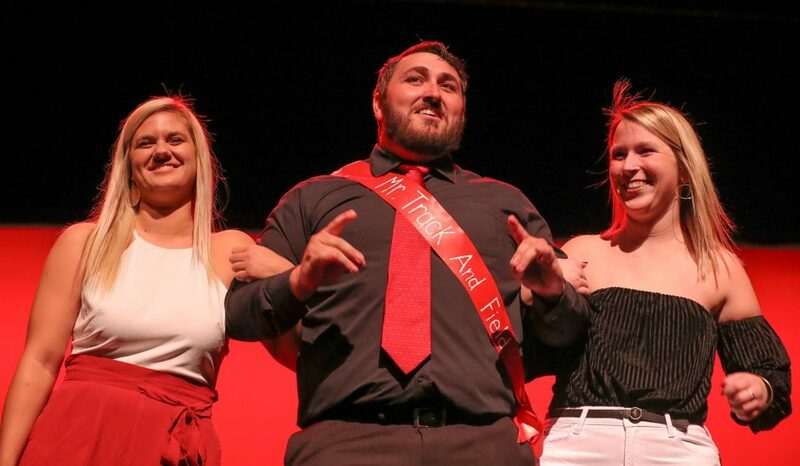 Alpha Phi sorority at the University of Nebraska at Kearney hosted its annual King of Hearts male pageant Thursday. 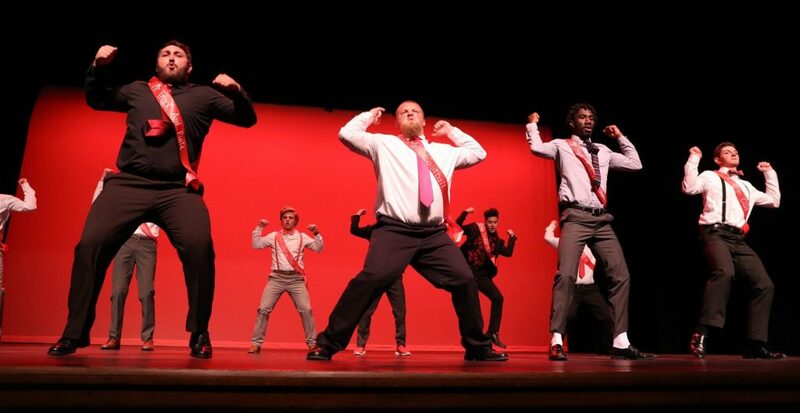 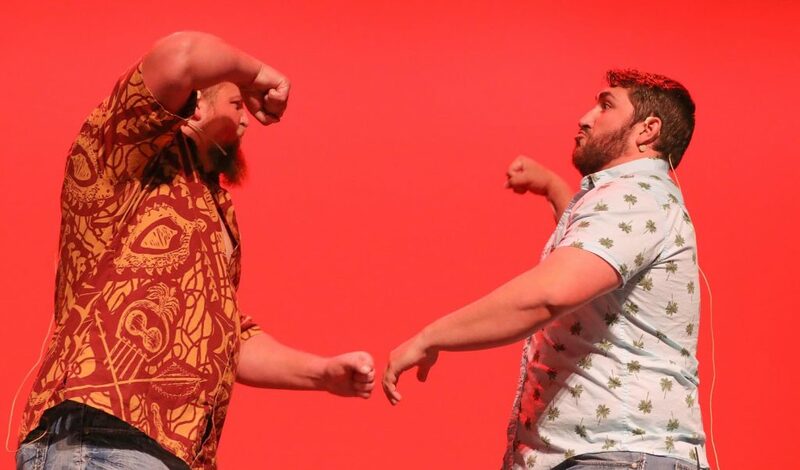 The event included contestants representing various UNK fraternities, student organizations and athletic teams. 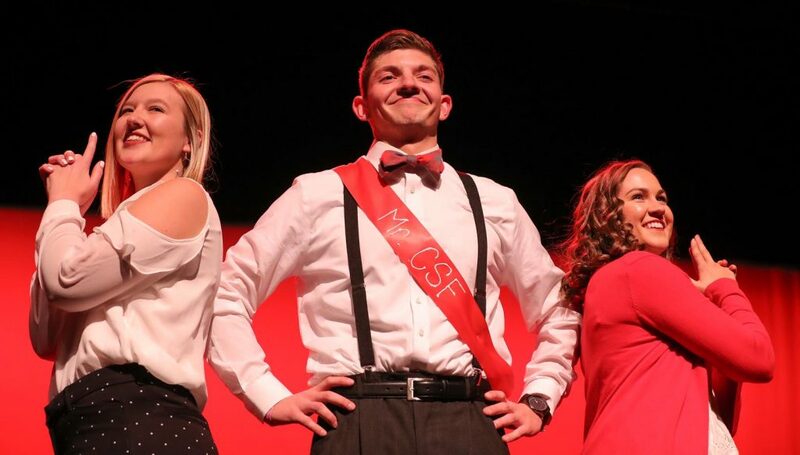 Contestants performed dance, talent and interview sessions while vying for the coveted crown and sash. 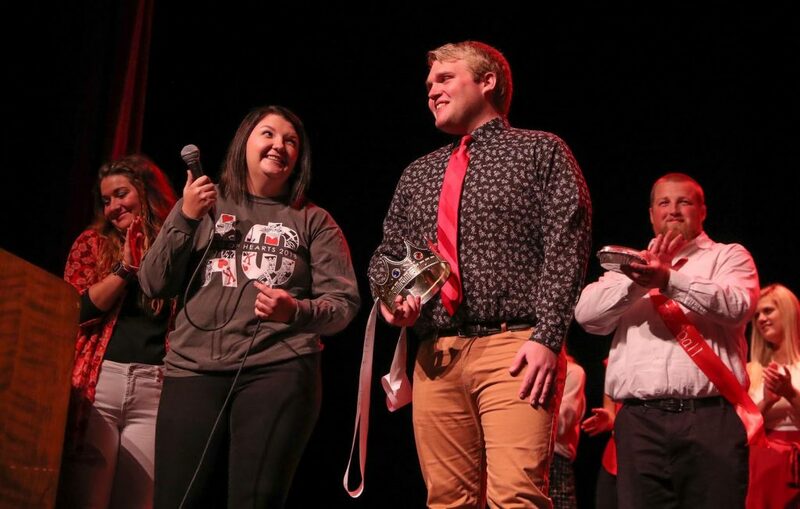 The event raised $6,000 this year and has brought in more than $28,000 since it began six years ago. 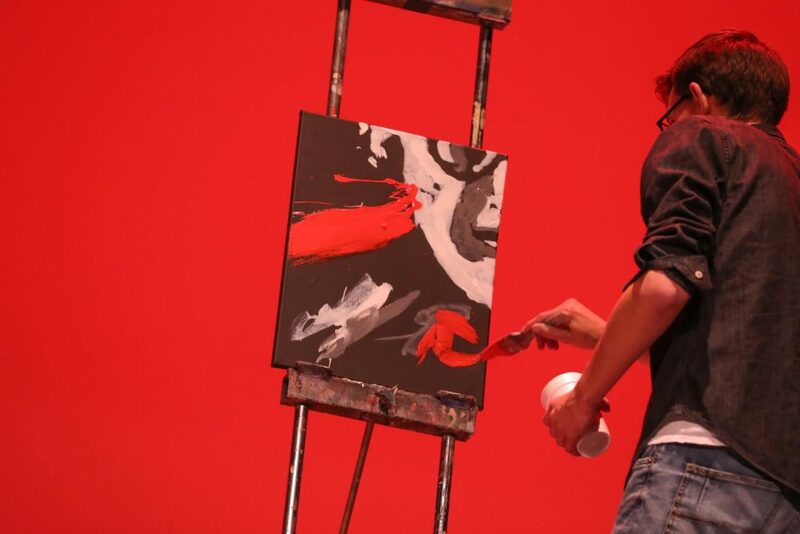 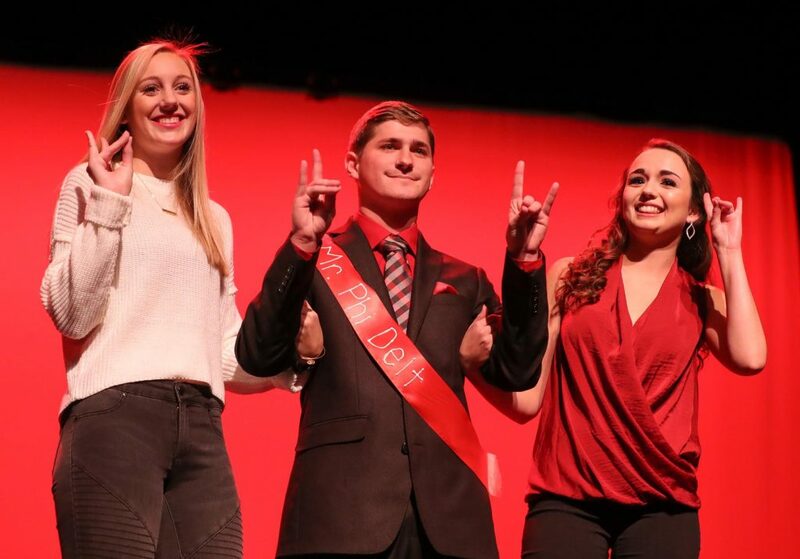 Proceeds benefit the Alpha Phi Foundation, which supports women’s cardiac care and student scholarships, and the S.A.F.E. 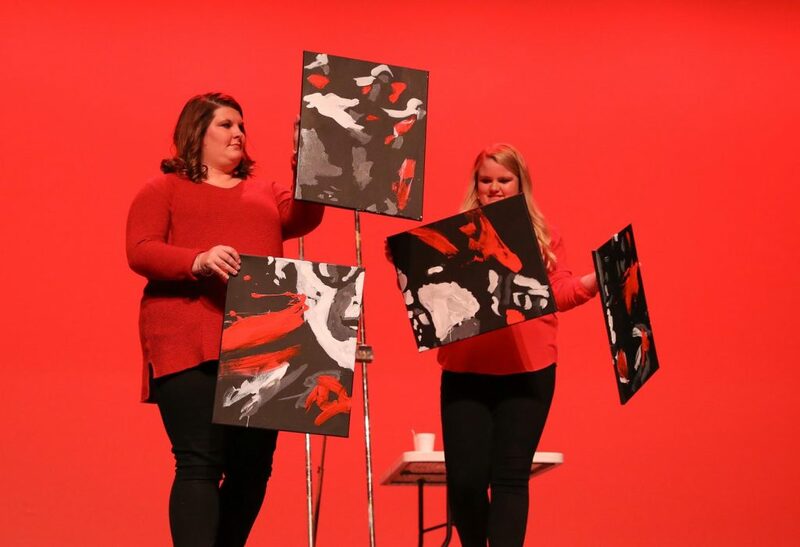 Center, a Kearney-based nonprofit that assists people impacted by domestic and sexual violence. 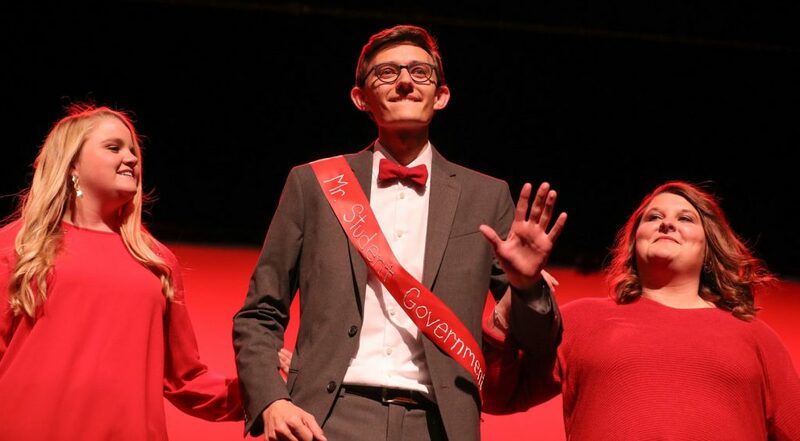 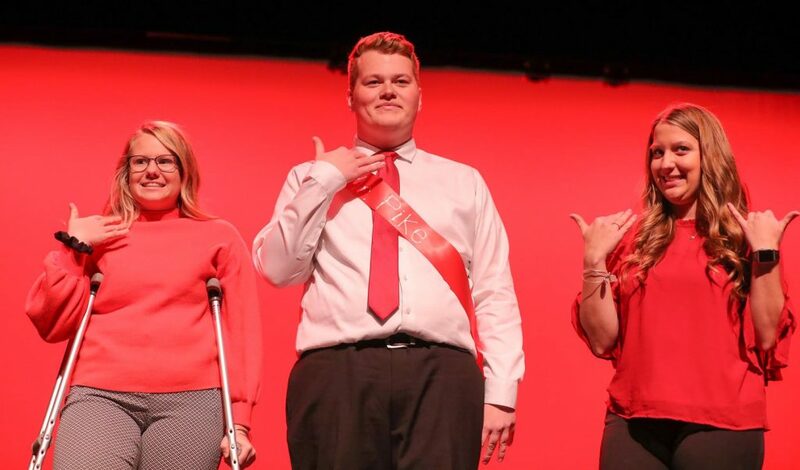 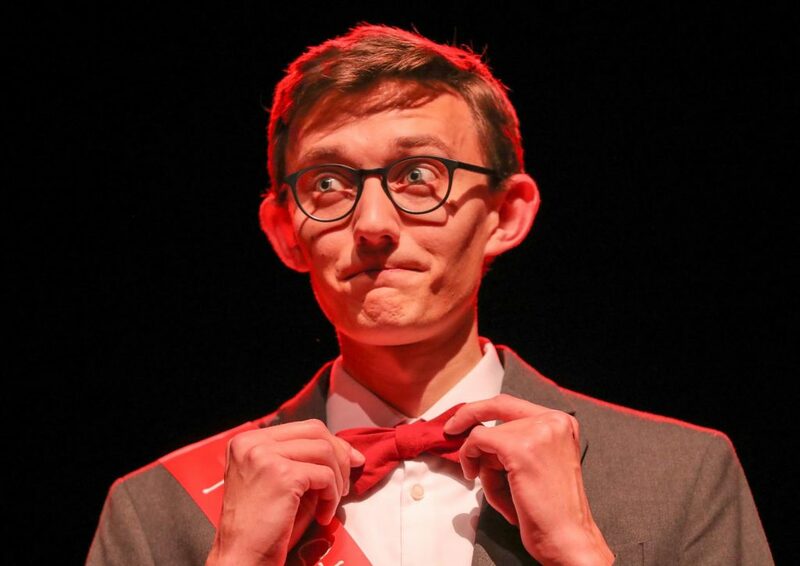 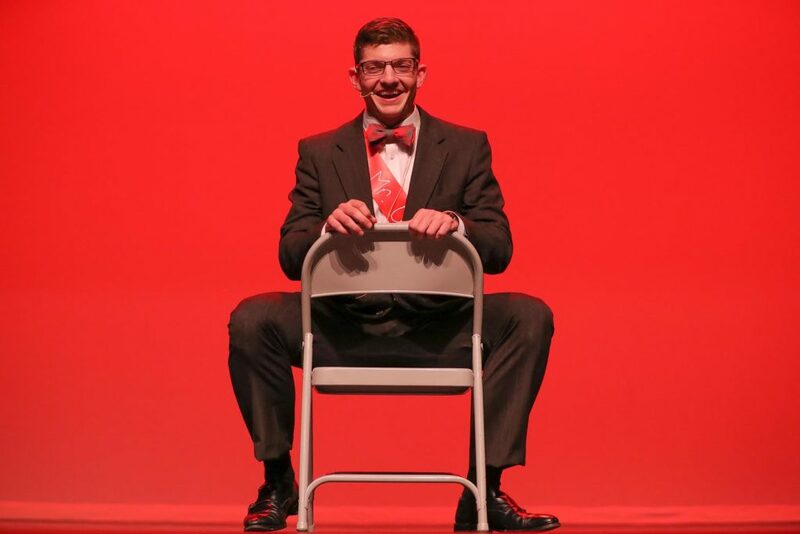 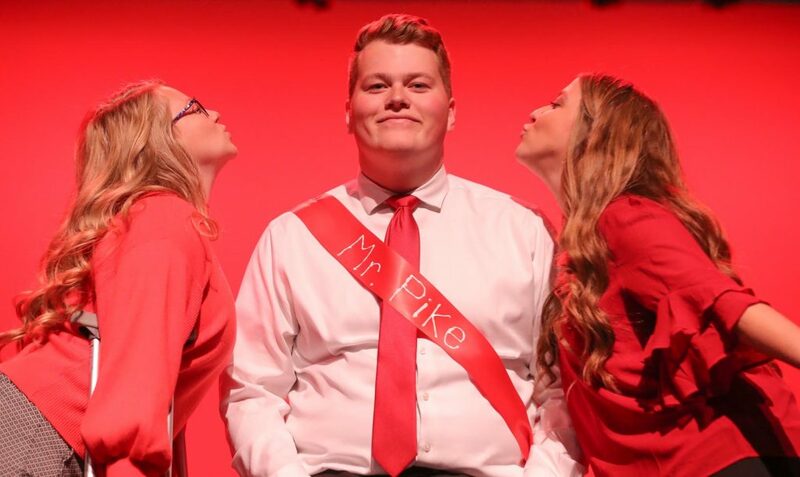 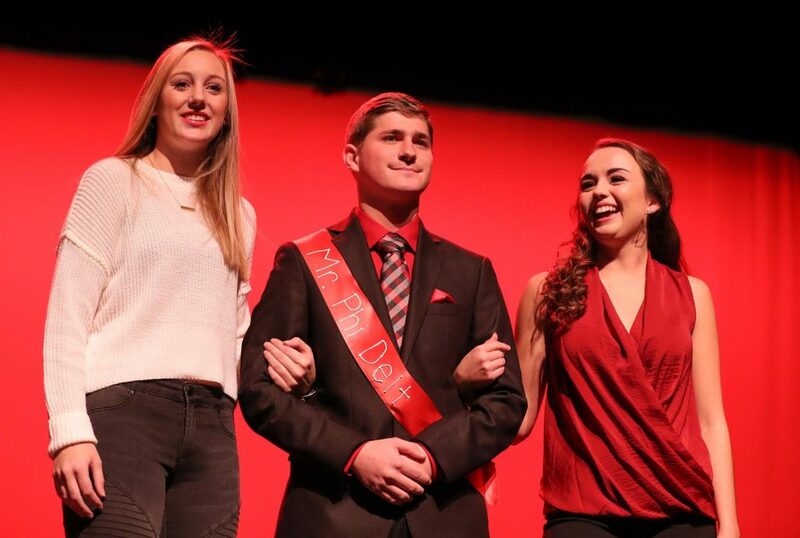 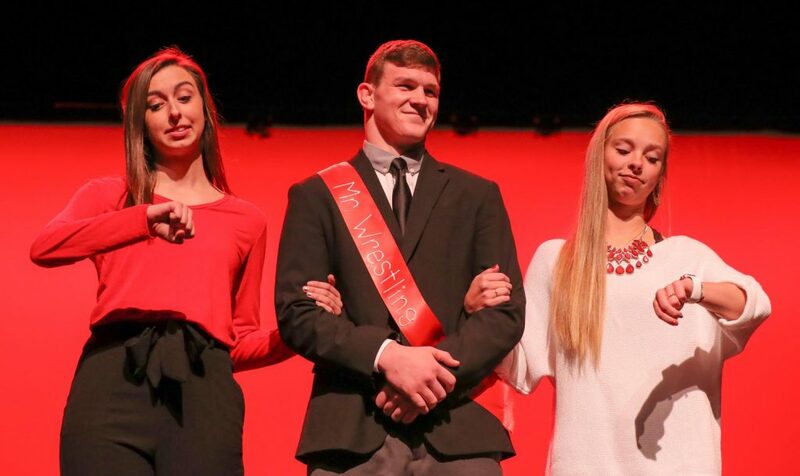 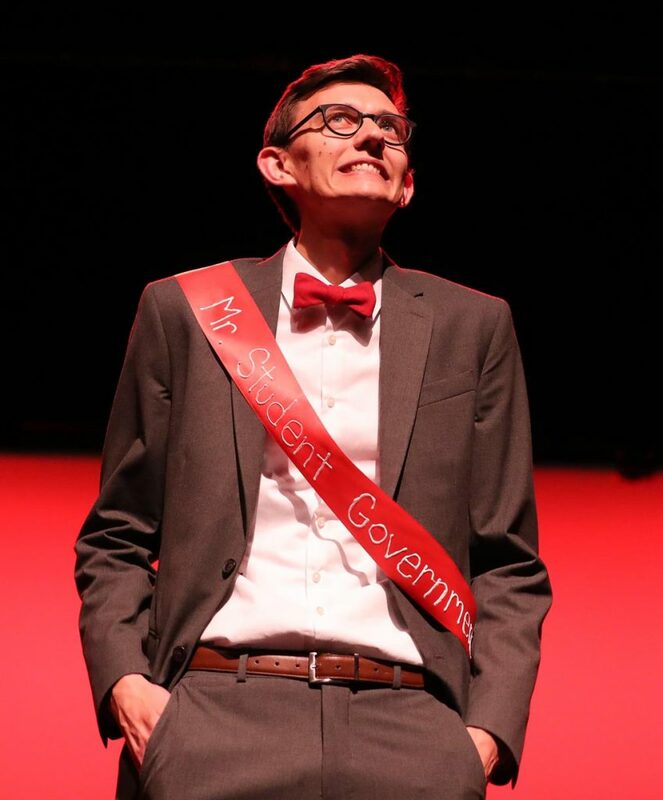 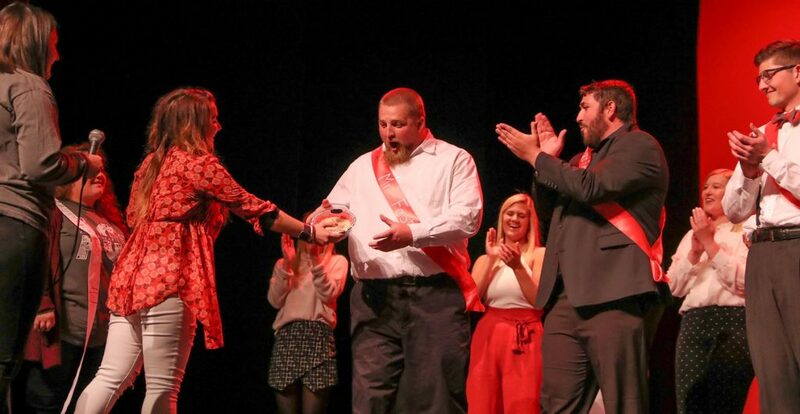 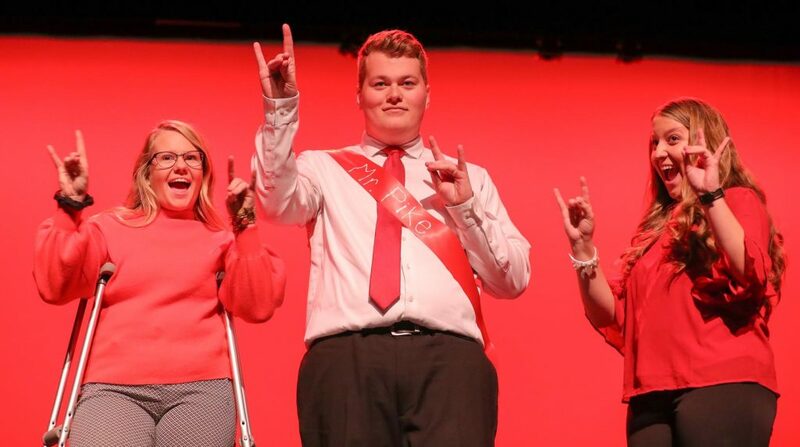 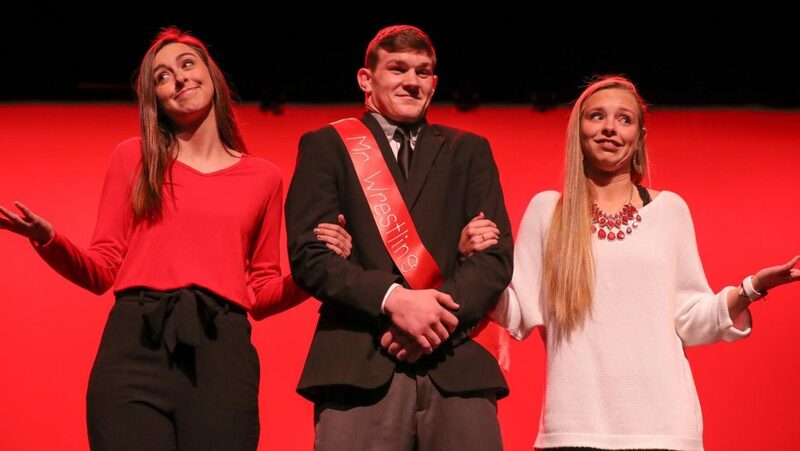 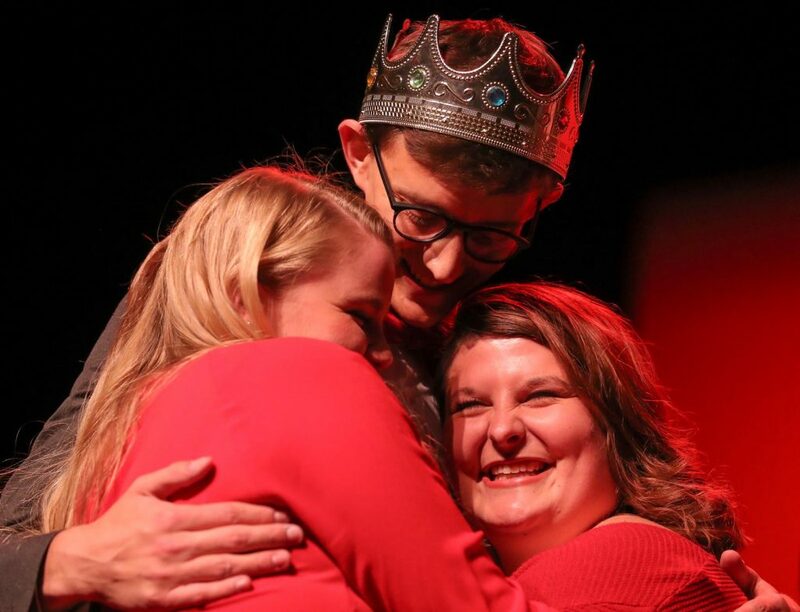 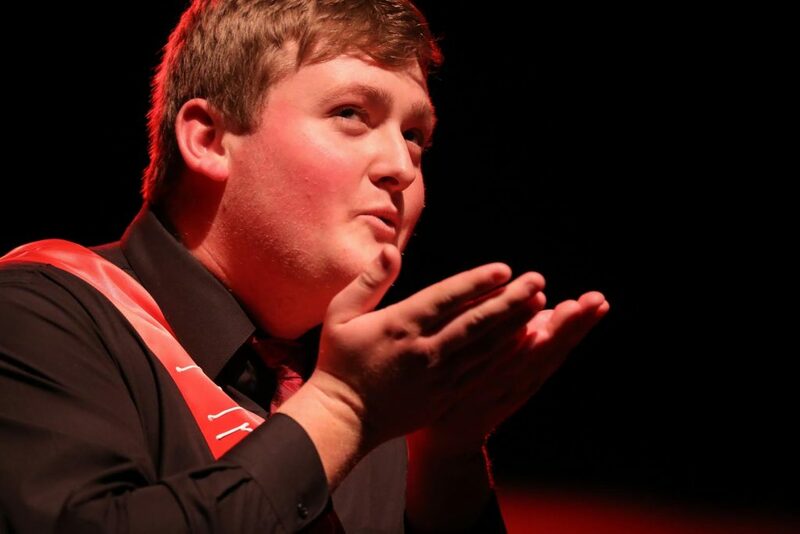 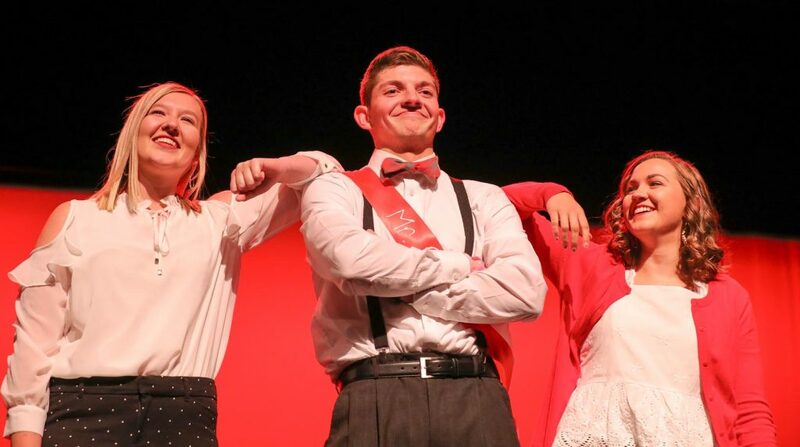 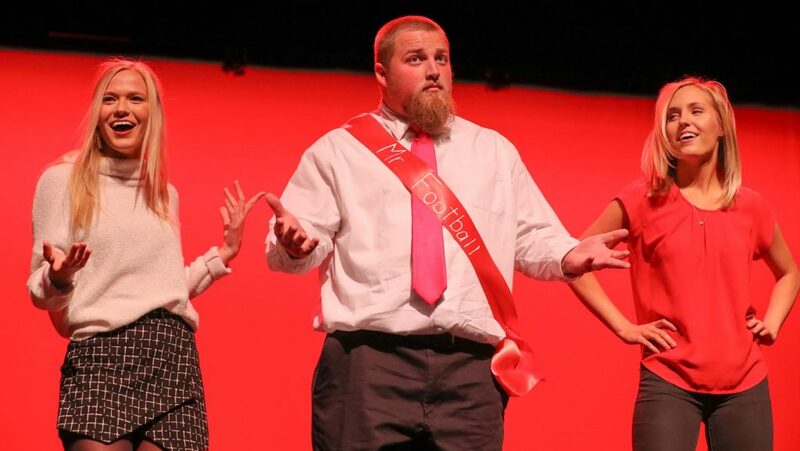 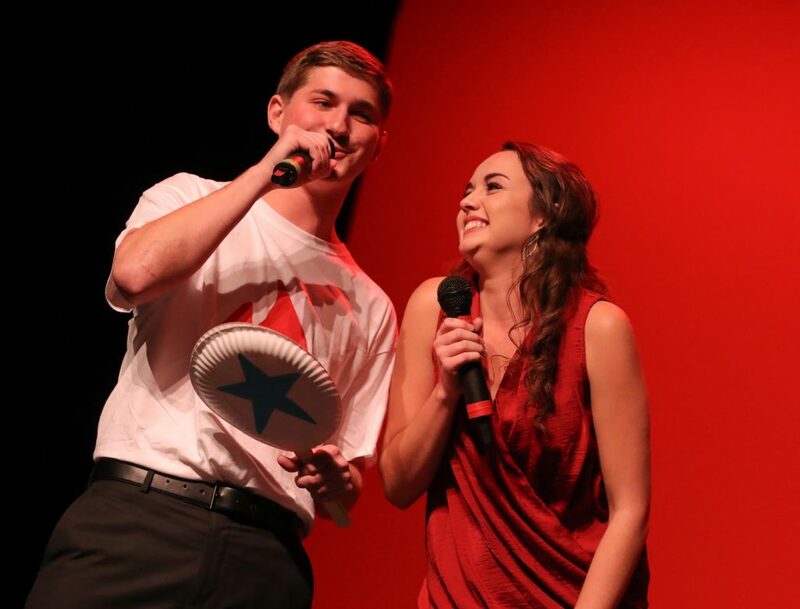 Jase Hueser of Papillion, representing UNK Student Government, was named Mr. King of Hearts. 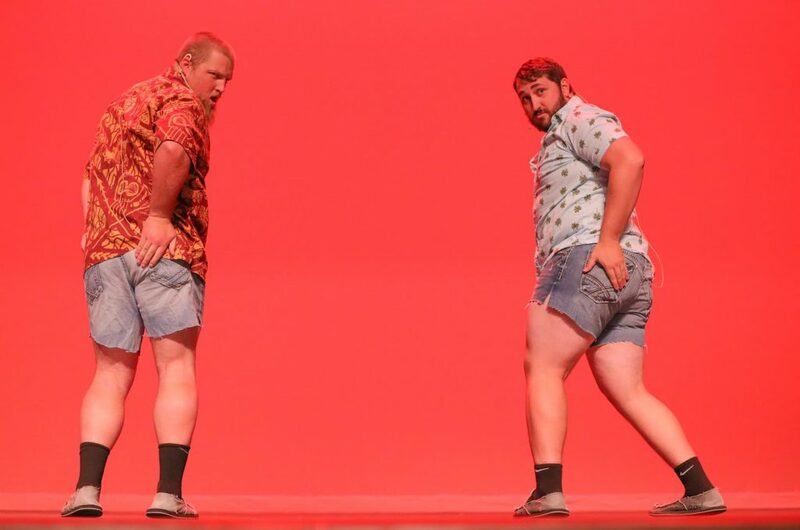 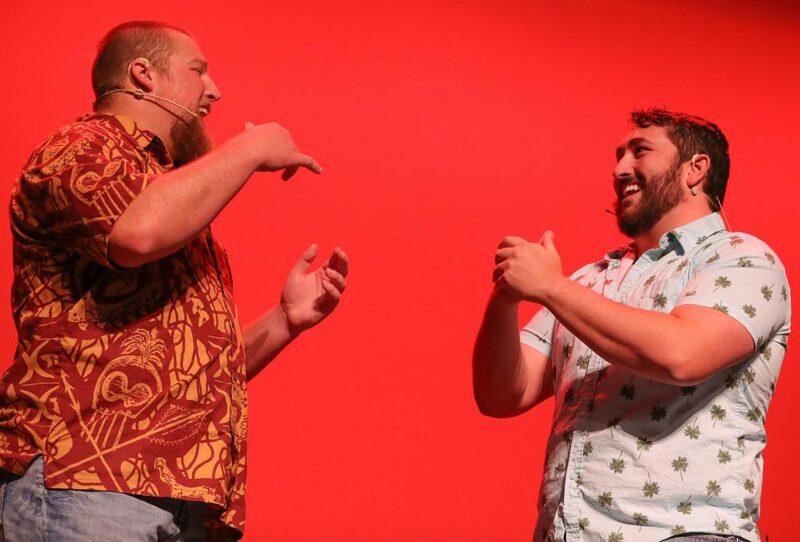 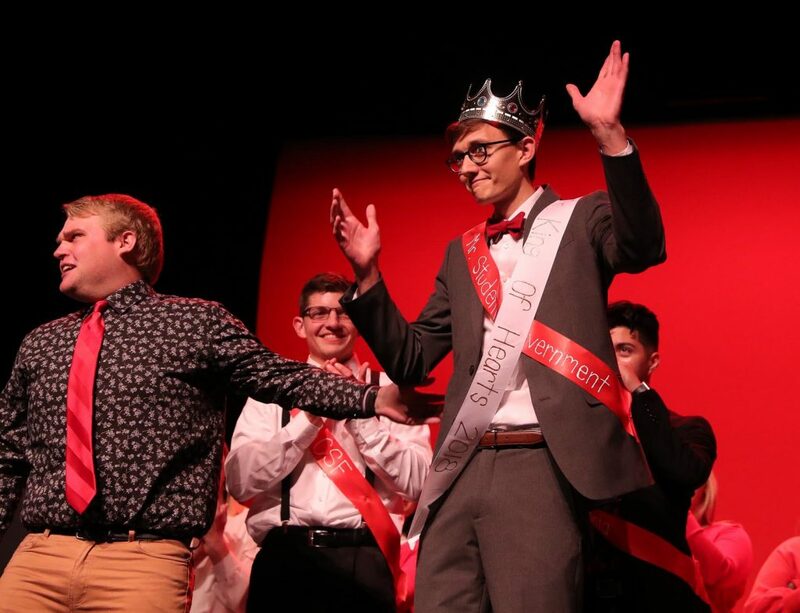 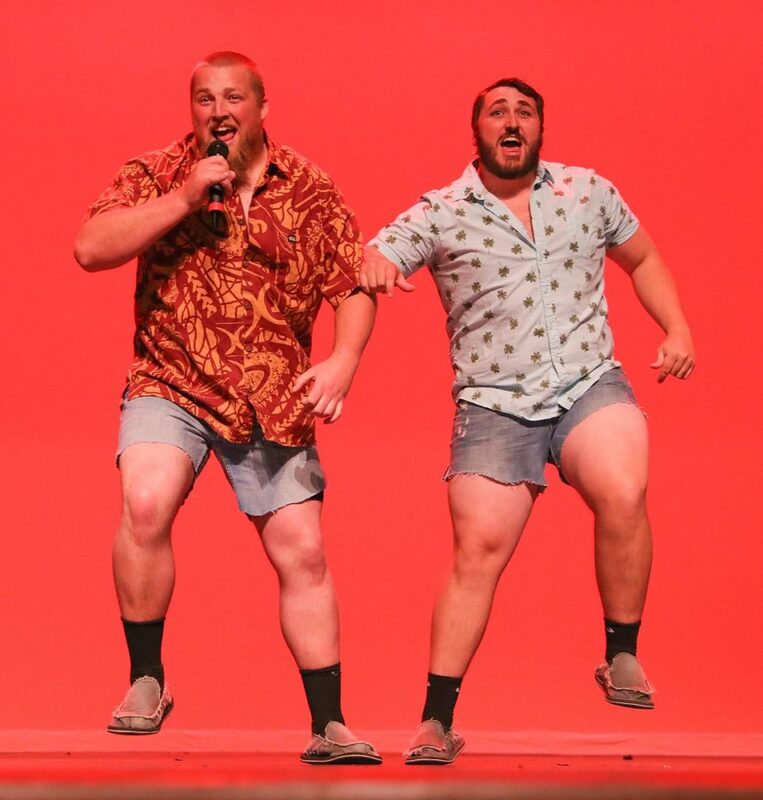 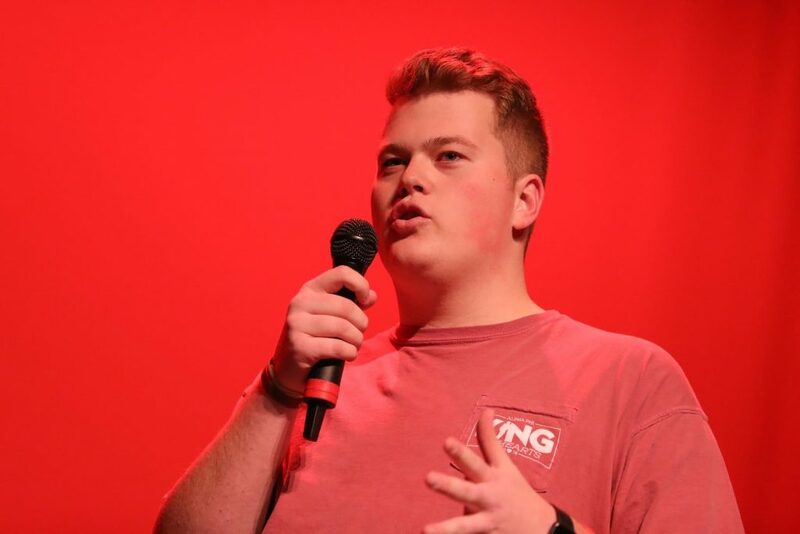 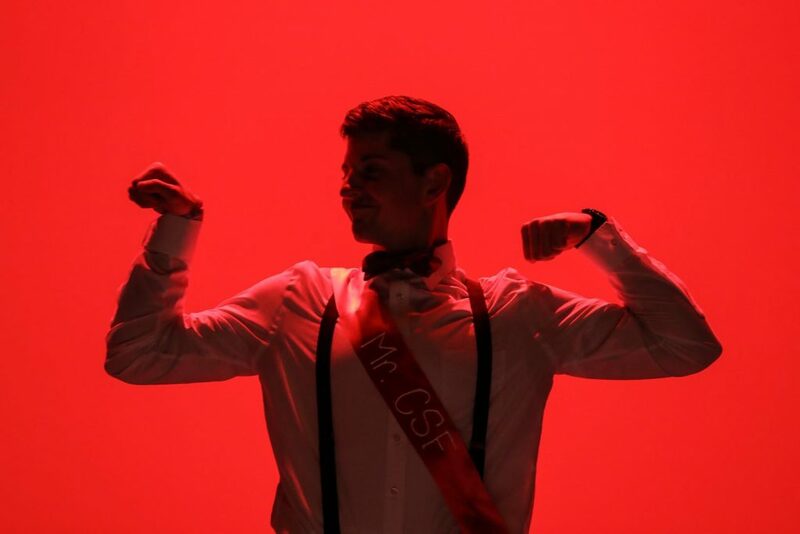 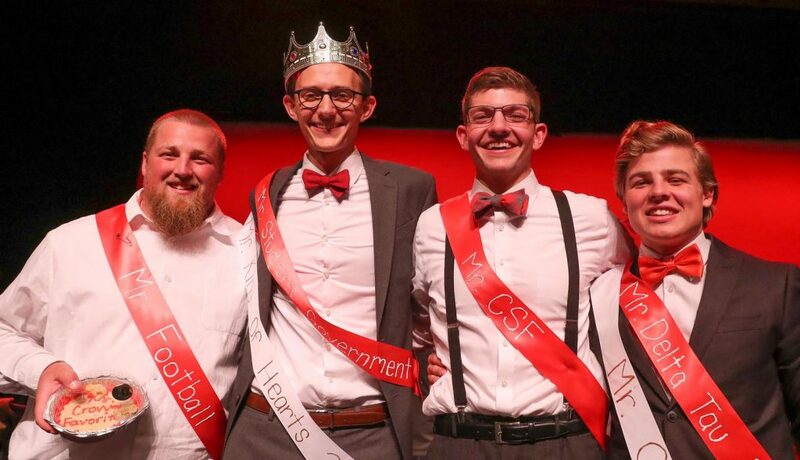 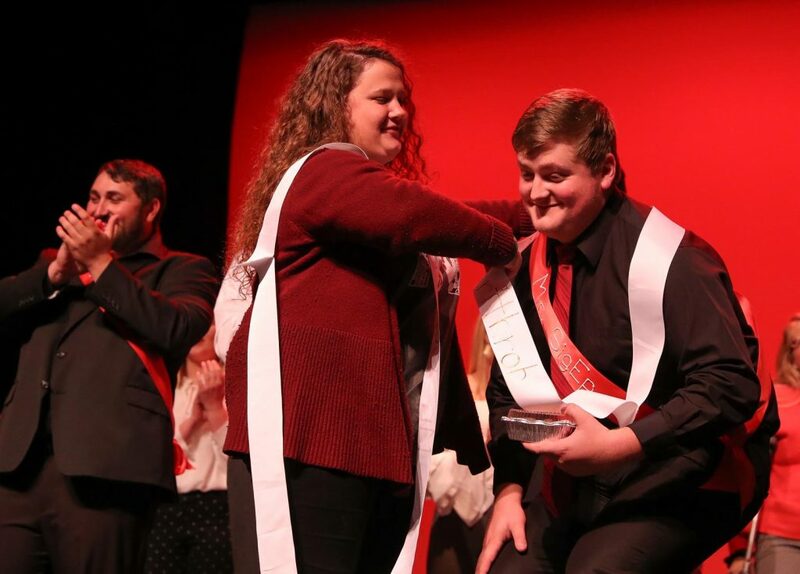 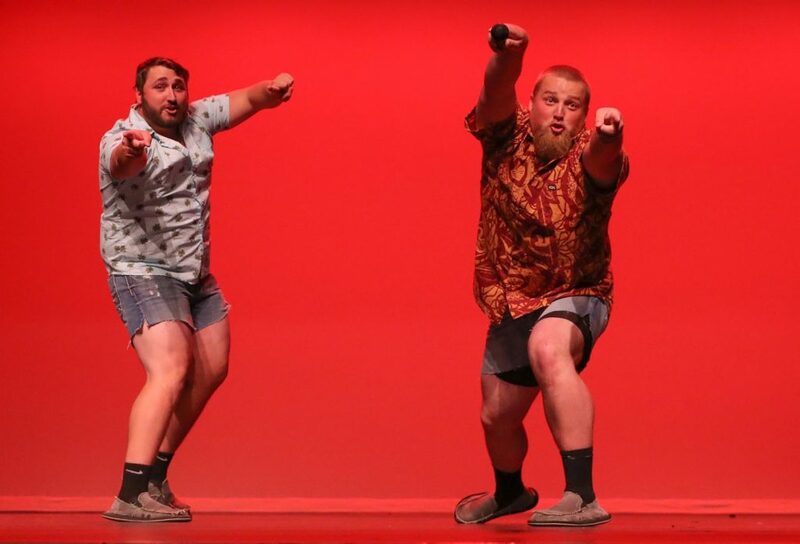 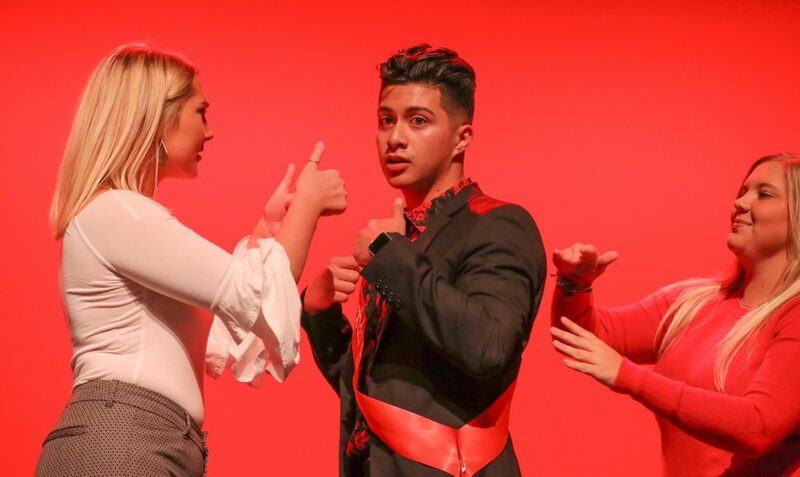 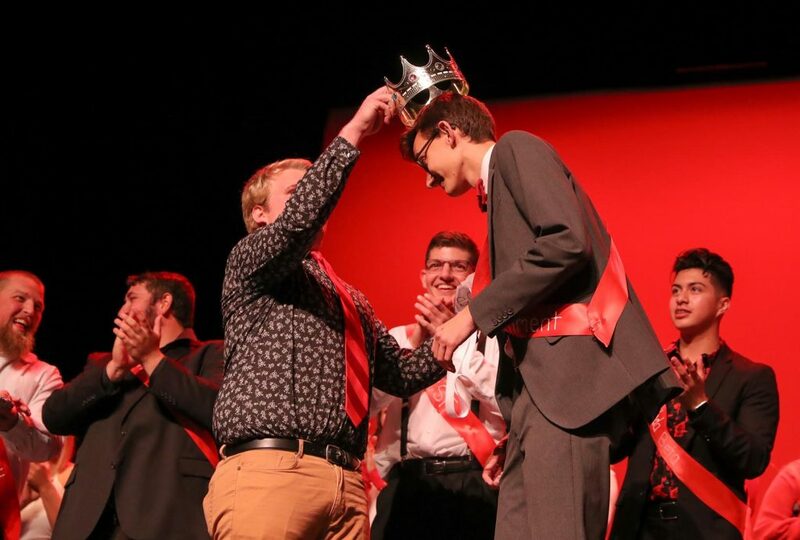 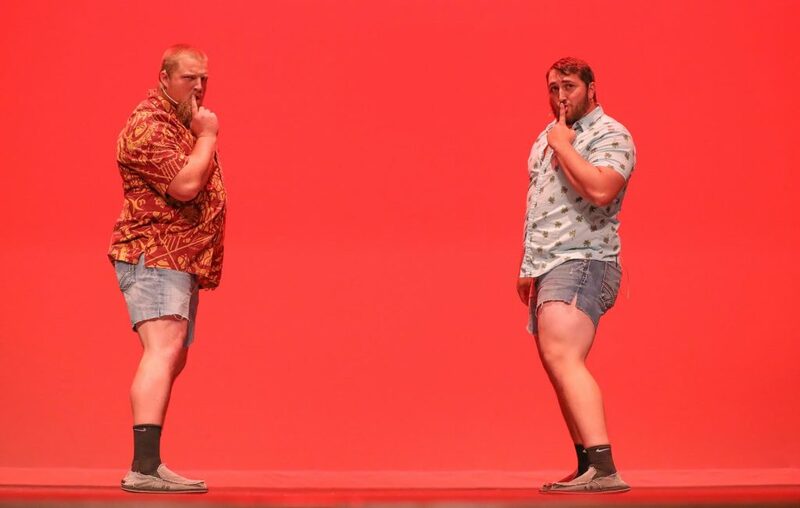 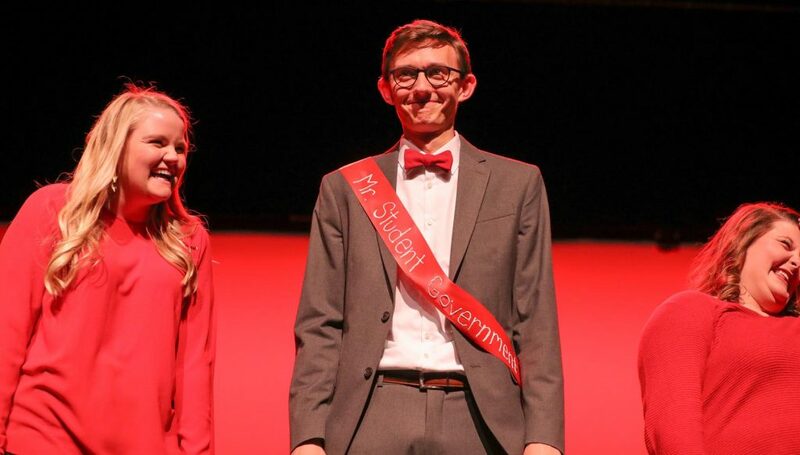 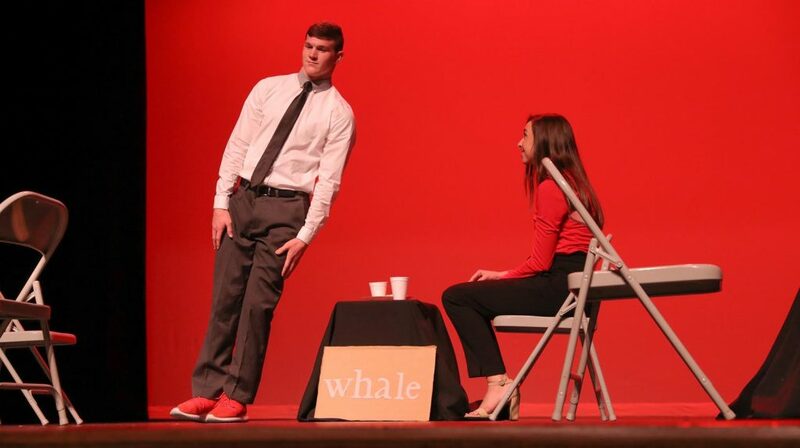 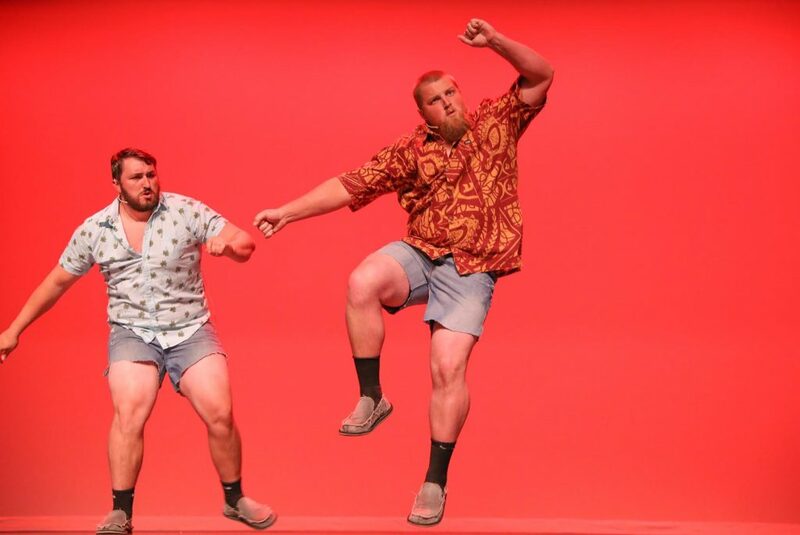 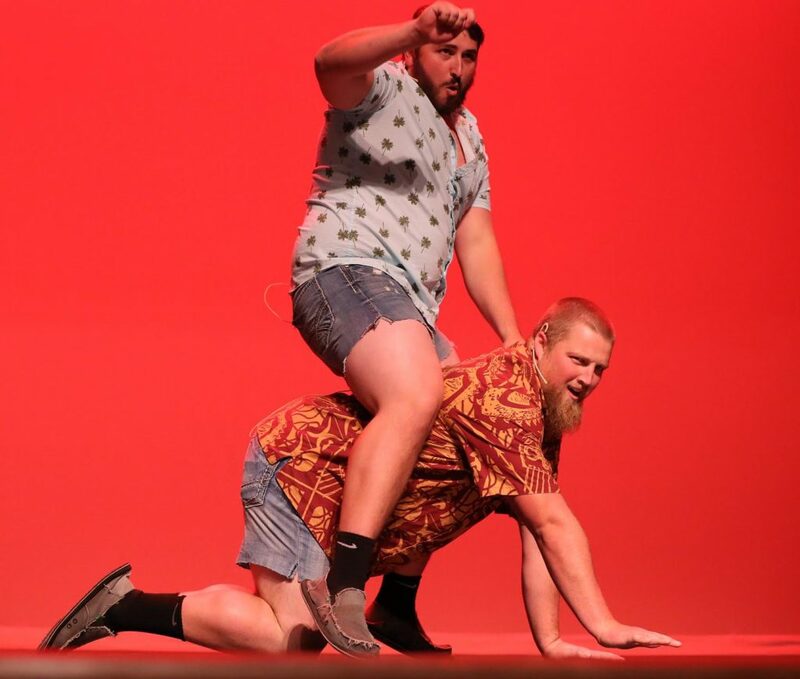 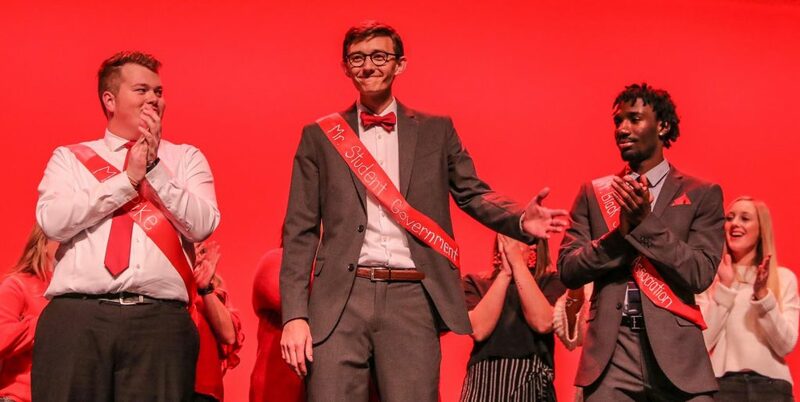 Mr. Heartthrob was given to Sigma Phi Epsilon’s Haden Scherbarth of Bayard, and Christian Student Fellowship’s Connor Gosnell of Maxwell was named Mr. 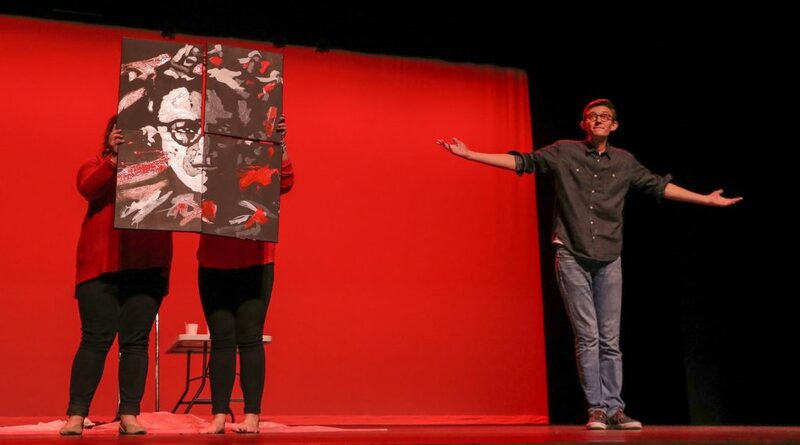 Popularity. 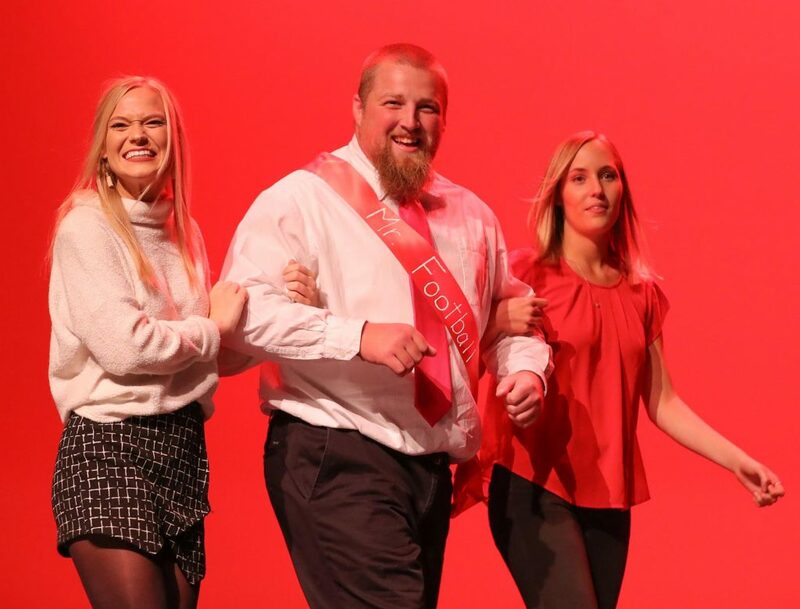 Dave Squiers of Kearney, representing UNK Football, was Mr. 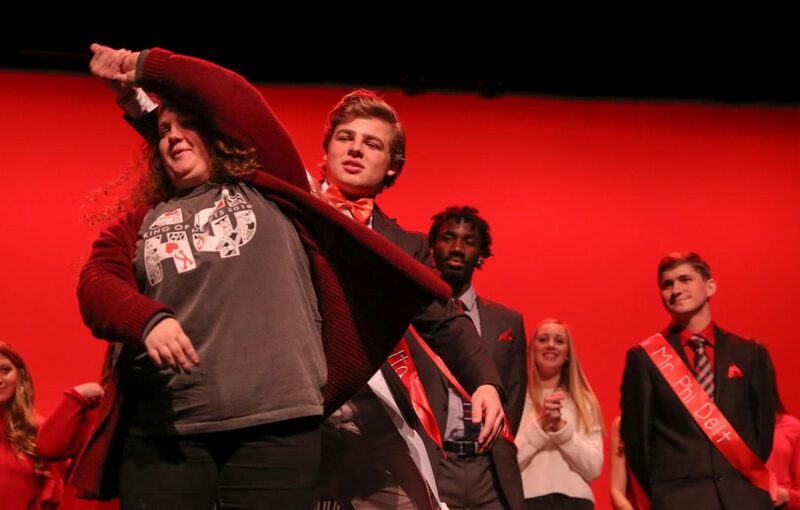 Crowd Favorite. 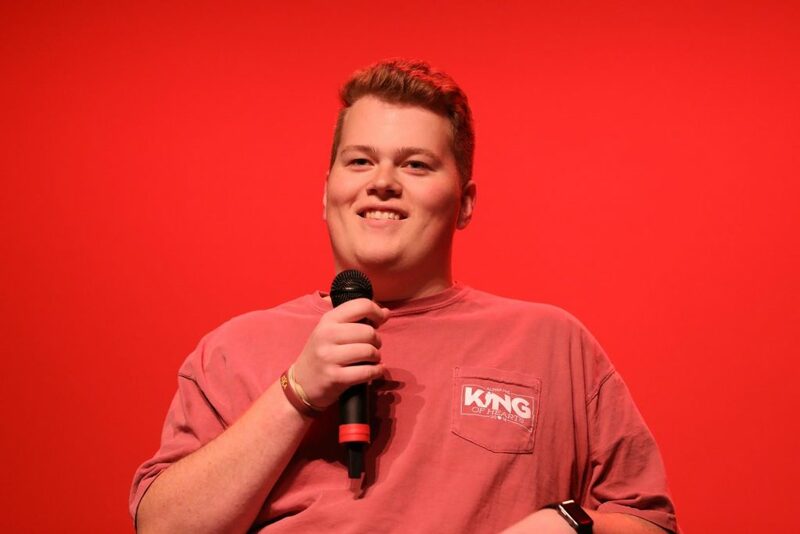 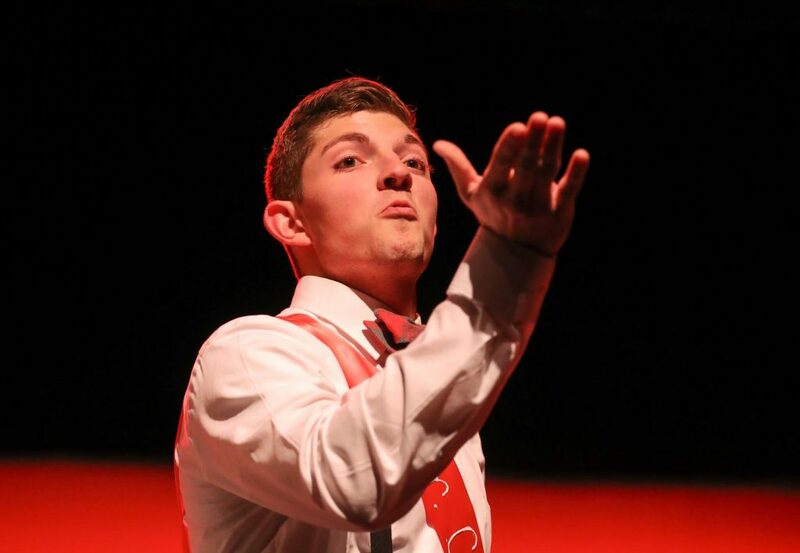 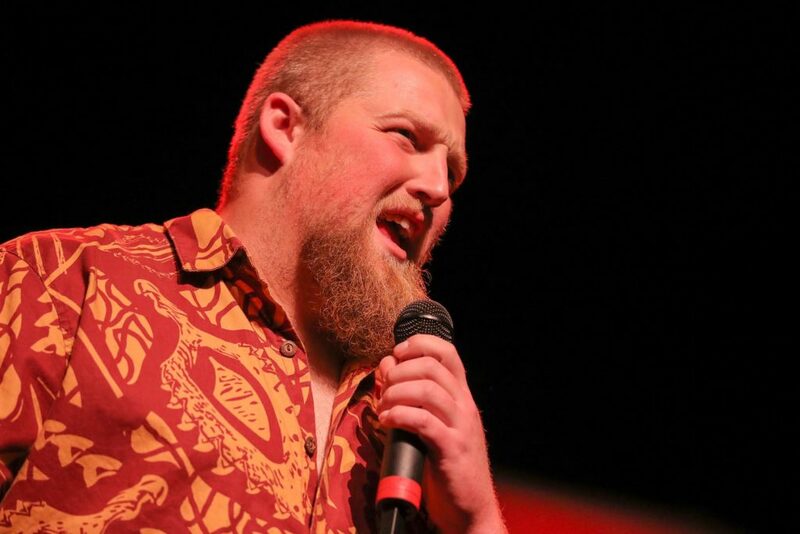 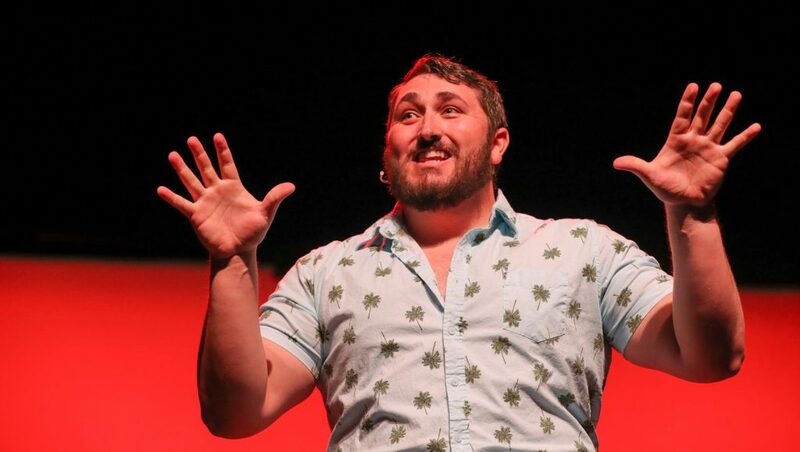 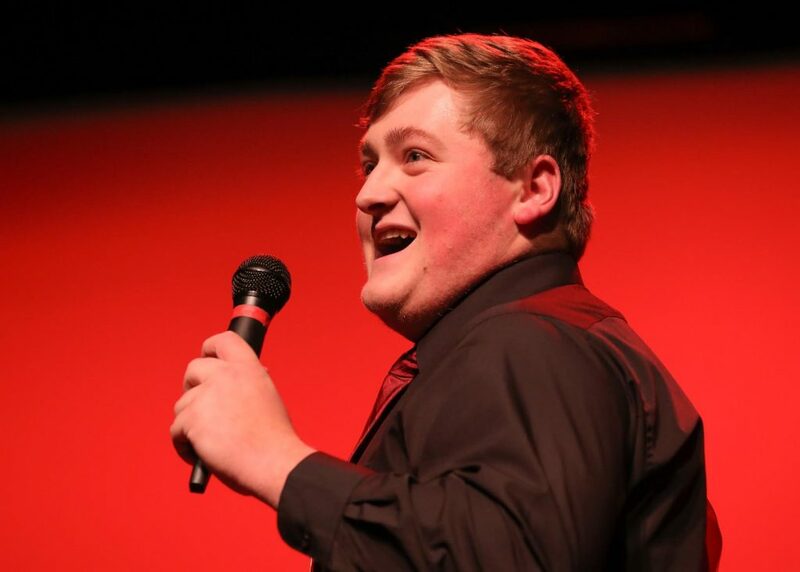 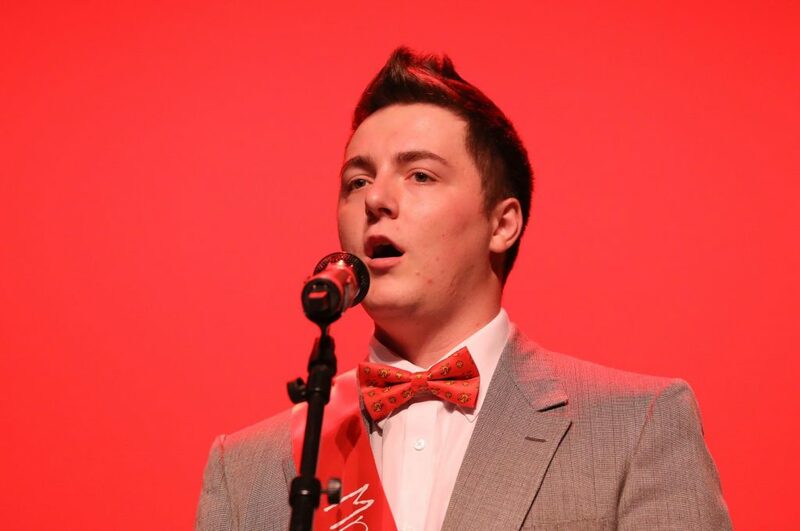 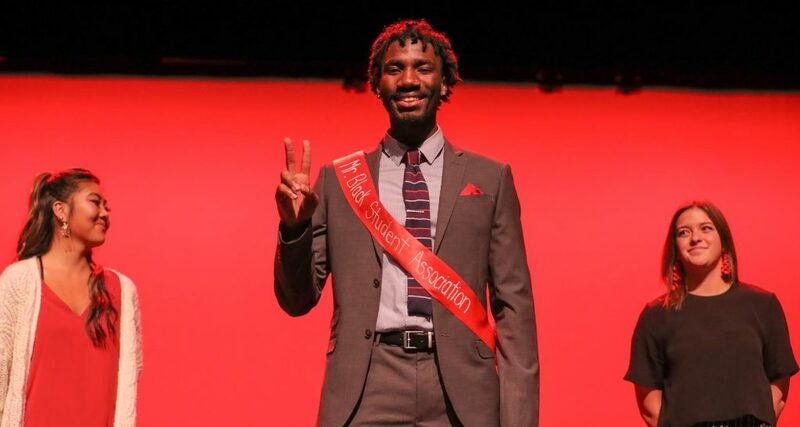 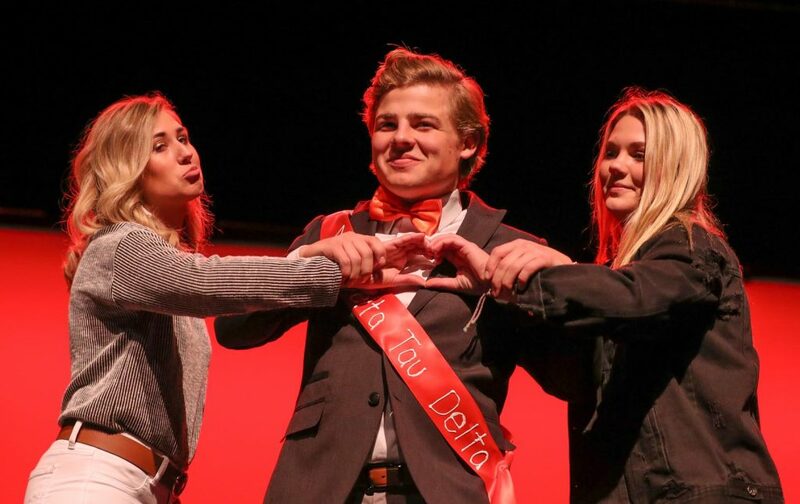 Joe Griffith of Kearney, with Delta Tau Delta, was voted Mr. Congeniality. 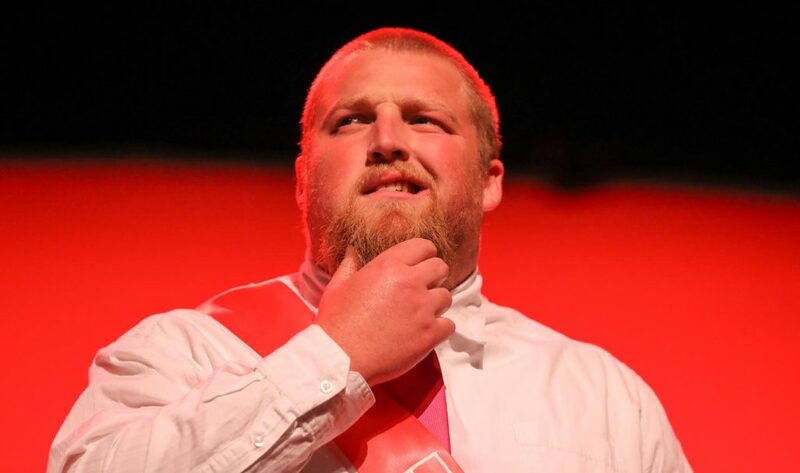 Dave Squiers of Kearney, representing UNK Football, was Mr. 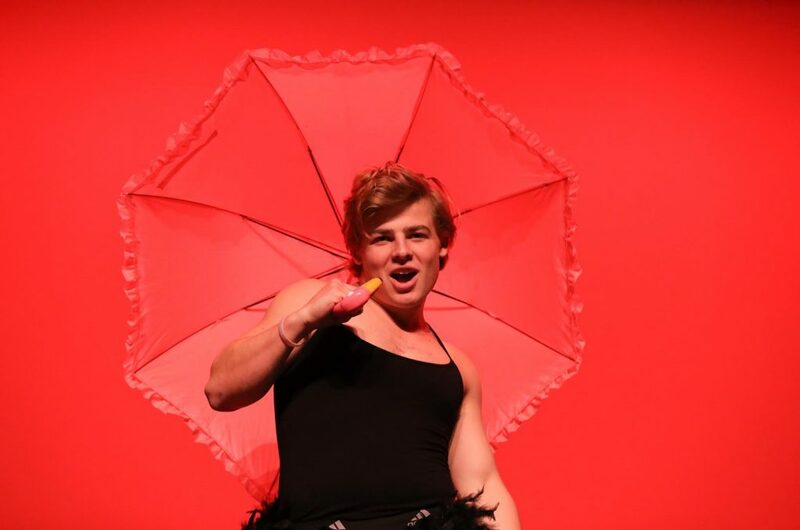 Crowd Favorite. 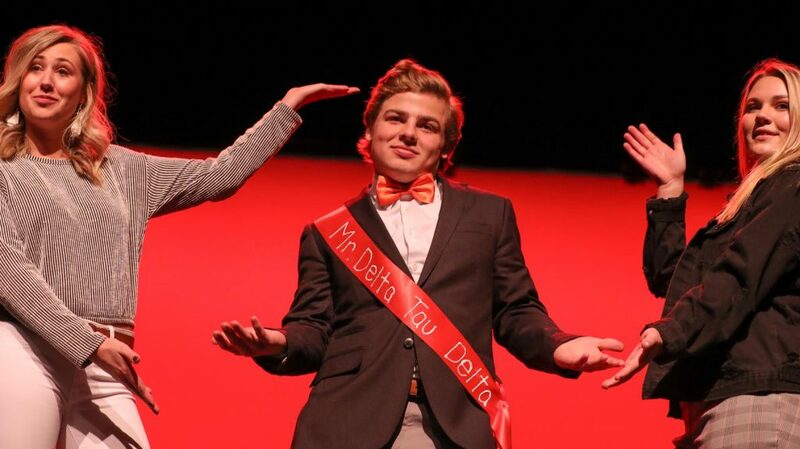 Joe Griffith of Kearney, with Delta Tau Delta, was voted Mr. Congeniality.